For the third year running, Barbara Assei-Dantoni, recipient of the 2015 Jacquart Design Trophy, produced the set design for the Champagne Jacquart showroom. 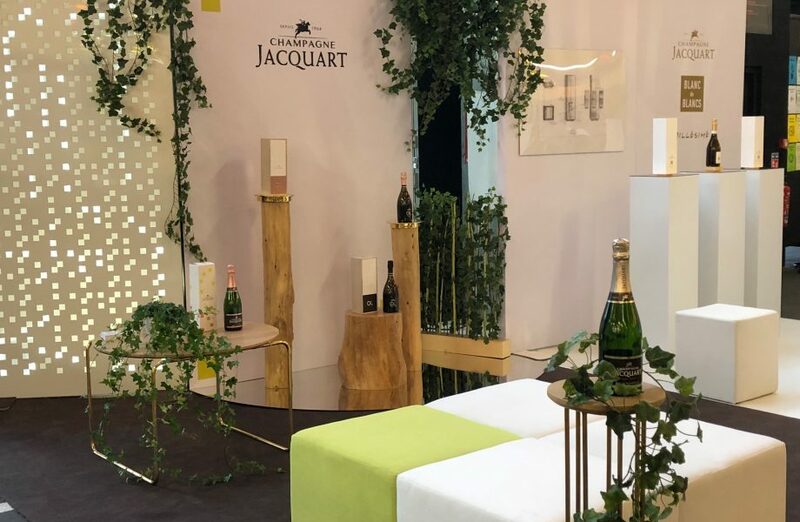 The showroom highlighted the world of Champagne Jacquart along with the 2013 Blanc de Blancs label complete with its new bottle and presentation case. The gift box was designed by Maxime Lis, winner of the 2017 Jacquart Design Trophy. The showroom was revealed ahead of the show during the PARIS DESIGN WEEK official evening event at Ground Control.